All the best photos of dogs in Christmas costumes. Just 19 of the best photos of dogs in Christmas costumes to get you in the festive spirit. Christmas is a wonderful time of year for so many reasons. There’s wine, gift giving, cheesy Christmas films and of course, endless amounts of food. But there’s one thing that trumps all the festivities year after year. Let’s be honest, there’s nothing, nothing, cuter than seeing a dog in a Santa hat. 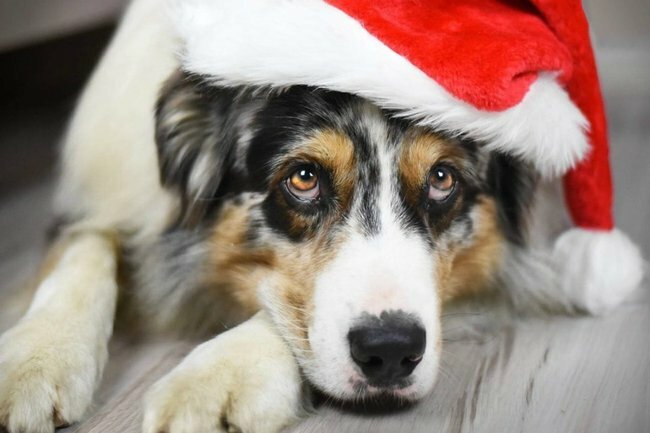 Even though we’ve still got a few nights before Santa makes his appearance across Australia, these adorable dogs just couldn’t wait any longer to get in their Christmas get-ups. To celebrate the happiest time of the year, we’ve rounded up some of the best photos of dogs dressed up for the holiday season. You can take a look at all of the glorious pictures below. This cat is not a fan of Christmas.